In March we were invited to conduct a Church Leadership training (CLT) in Nairobi, Kenya with our Kenya partner ministries “Straight Path Resources” and “Unite4Africa”. Together as a team we were challenged, inspired, heartbroken and compelled to press on. The needs are so immense it is hard to describe because here in America there is only a rare comparison and for most of us there is no comparison or point of reference. During our short stay we were blessed with over 72 key leaders from over 40 different areas of Kenya. 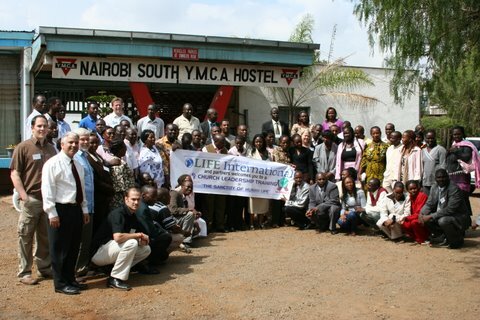 All but 4 of the attendees were actually from the huge city of Nairobi. Those who came were eager to learn and ready to apply to their own lives the truth they were absorbing. The training included content on the sanctity of human life, human development from conception to birth, Biblical World View, Biblical sexuality, and becoming a life-giving leader. After four days of training, praying and worshiping together the Lord was moving powerfully in our presence. One of the key leaders decided to open up and communicate his own journey that included fathering a child outside of marriage. His genuine heart of brokenness before the Lord and all of us ushered in a time of prayer and repentance in mass. One after another came for prayer and reconciliation opening up the door for healing and release for them to become the life-giver that God was calling them to be in ministry. The prayer and worship time continued for over three hours including a stirring message from our partner in ministry Okongo Samson, the head of Unite4Africa. In addressing the 72 leaders he challenged us to consider what they were giving to others. He suggested that what we have within us is what we have to give to others. If we have brokenness, we give brokenness. If we have unforgiveness, we offer unforgiveness. If we have bitterness we give bitterness. If we have greed we give greed. If we have grace we offer grace. If we have love, we give love. If we have joy we give joy. He carried this theme on for some time in order to get his point across. There is a fundamental truth at the core of what Okongo was communicating. It caused all of us to consider what we were offering the world around us. As a result of the Holy Spirits work in us that day, and truly all week, heart and head transformation took place in all of us who participated. 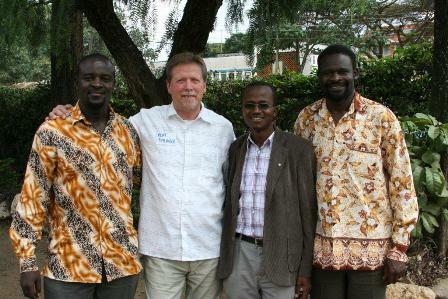 Many communicated to Bramuel, our partner and founder of Straight Path Resources, ‘Kenya will never be the same’. At the conclusion of our time together each participant received a certificate indicating the successful completion of the CLT. As each one came forward a song would erupt in their tribal language filling the space with joyful worship of our Lord and Savior. I was asked to bring a final word from scripture which was, “Guard the good deposit that was entrusted to you-guard it with the help of the Holy Spirit.” II Timothy 1:14 That message was fully embraced by everyone and I’m confident the Life-giving message that we deposited in Nairobi will spread throughout Kenya and beyond. This is what we have and this is what we want to give to others. Thank you so much for supporting this ministry and releasing us to go and bring this life-giving message to the nations!